Eakins visited the site where Rush's studio originally stood on the Delaware riverfront in Philadelphia. Although the building had been torn down, Eakins was able to speak to several elderly people who described it to him. 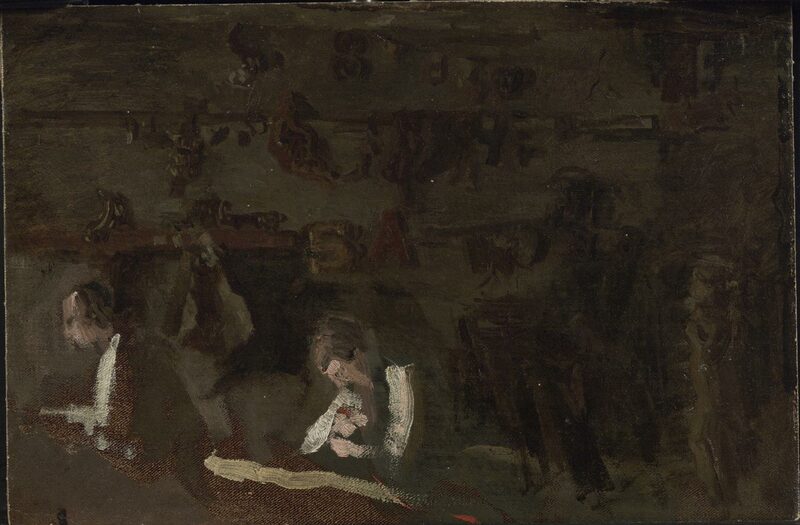 He located a woodcarver's shop similar to Rush's and made this small oil sketch of its interior, working out the shadowy effects of light on the tools and shop products that would appear on the back wall of Rush's studio in the final painting.